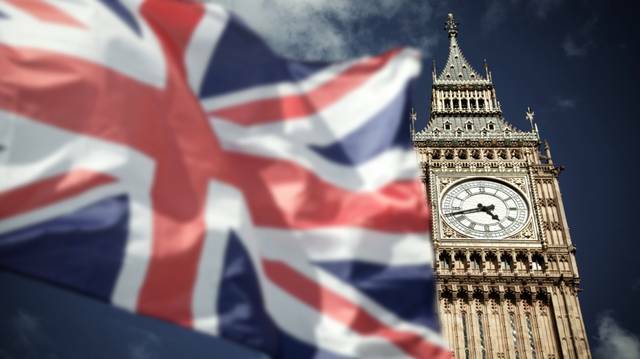 Mubasher: The UK economy grew at the weakest pace since nine years in 2018, the UK’s Office for National Statistics (ONS) said on Monday. In addition, the preliminary estimates showed that UK gross domestic product (GDP) grew 0.2% over the fourth quarter of 2018, down from 0.6% in the previous quarter. On an annualised basis, the GDP figure came in at 1.3% in Q4-18, decelerating from a 1.5% in Q4-17. Consumer spending growth remained at 0.4% in the three-month period ended last December, while business investment plunged 1.4%, the most since the beginning of 2016. “GDP slowed in the last three months of the year with the manufacturing of cars and steel products seeing steep falls and construction also declining,” the ONS's head of national accounts Rob Kent-Smith said. Growth in the service sector, the biggest part of the UK economy, decelerated to 0.4% in Q4-18. “However, services continued to grow with the health sector, management consultants and IT [information technology] all doing well,” Kent-Smith noted. For the full year 2018, the UK economy’s growth rate slowed down to 1.4%, compared with the prior year, marking the weakest rate since 2009. The UK economy contracted by 0.4% December 2018, compared with a growth of 0.2% in the previous month. All the main sectors of the economy posted a contraction last December, with manufacturing recording the sixth monthly decline in a row. By 10:14 am GMT, the GBP/USD fell 0.29% to $1.2907, while the EUR/GBP rose 0.20% to GBP 0.8758.